I’m going to admit it: when Nestle released Nespresso machines a few years ago, I thought they were going to be a fad. They seemed convenient, but surely people would put away their pods in return for the ritual of their own espresso machine, right? Or return to the even less quick fix of instant? Right? If the Nespresso store in Bondi Junction is anything to go by, the simple answer to that is NO. Nespresso has firmly cemented itself as a new way to get a coffee fix, and many offices now offer machines in their communal kitchens. Nespresso machines work in a “pod” system: you insert a foil sealed coffee pod in your machine, and it pierces the top and mixes it with hot water under high pressure. This brews the coffee, and then it flows into your coffee cup. There is also a standalone automatic milk jug, which will froth milk if you feel inclined to add it. 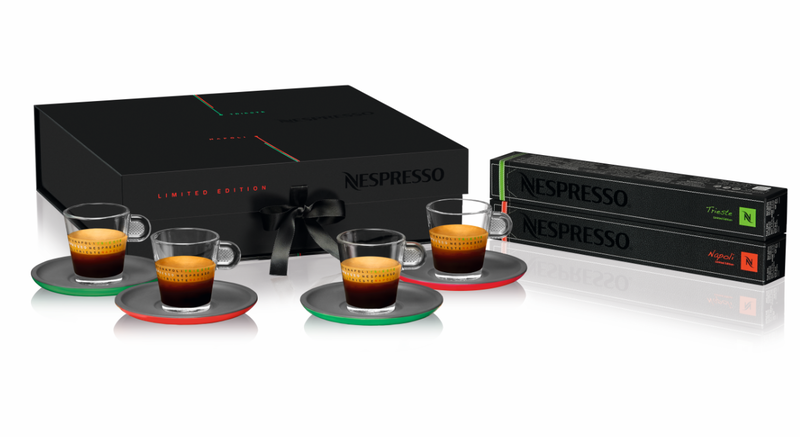 The wonderful thing about Nespresso capsules is that they make it easy for coffee beginners. They sell pods in different flavours and numbered strengths (who could forget the advertisement that revealed George Clooney was a decaffeinato drinker?) so you can be assured that you’ll get a consistent coffee every time. 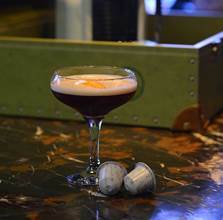 To celebrate these special edition flavours, some special recipes have been whipped up,one of which is located at the end of this post, and is perfect for a Friday – a Nespresso Napoli Cocktail. What could be better than a combination of vodka and coffee to get you perked up after a long work week? The range is $8.40 for a sleeve of 10 capsules, which, even adding the cost of milk, makes it more cost effective than stopping at the corner coffee store on your way to work. And how do I rate Nespresso machines? While I don’t think they produce coffee as amazing as a fantastic barista, they do make good, quick, and mess-free coffee every time. So, if you’re after a coffee fix in the morning that is easy and consistent, I’ll definitely recommend the sleek little number. And I’ll definitely recommend the cocktail. It is Friday, after all. This entry was posted in Food and tagged food, friday foodie, Review. Bookmark the permalink.